My late grandmother used to do a lot of odd things. It is harder to remember behavior that qualified as normal to my young eyes than odd in some way. One such quirk was piling all the sugar packets on a restaurant table into her purse, as if the owners were leaving diamonds in a bowl for the taking. My mother explained that the generations that grew up during The Great Depression had their worldview forever changed. They always prepared for the worst. I never quite understood how sugar packets were going to save anyone in the face of economic meltdown, but it was not hard to see how going through such a period of desolation could result in cherishing of even the smallest measure of sweetness. There will be a generation of Seahawks fans that will grow up during the splendor of 10+ win seasons and Super Bowls that will have no knowledge of what it was like to cheer for this franchise for the first 30 or so years. Those of us that have experienced the 179 road losses and 0.381 winning percentage prior to 2013, know the rarity of a road win. We were watching that final series for the Rams on Monday Night Football hoping against hope that Seattle would do something it simply never does in that situation: win. 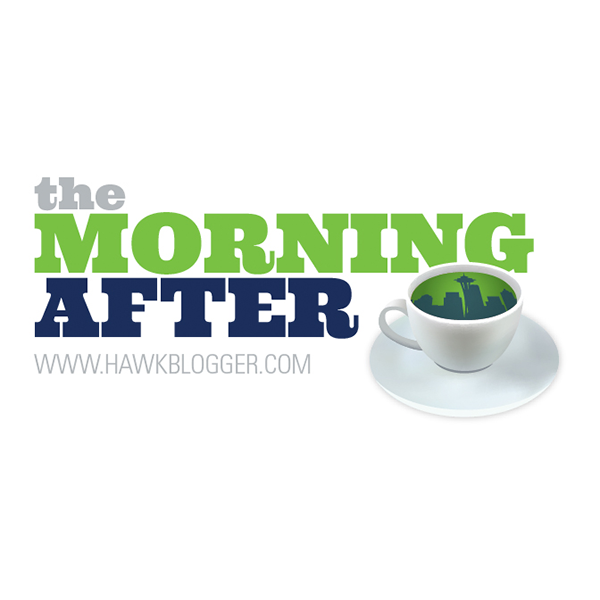 Every voice across every brand of media will tell you this week the Seahawks were terrible and exposed. A seasoned Seattle sports fan will pinch that victory and tuck it away in their pocket, knowing that even a little sugar is still pretty sweet. Five times last season, a Seahawks road opponent took possession of the ball with less than six minutes remaining in the fourth quarter when trailing by less than a touchdown. Five chances to win a game on their home turf. Four of those resulted in scores that either tied the game or won it. There was the heartbreak in Atlanta to end the season, but that was preceded by Miami, Detroit and an equally ridiculous 24 second drive to tie the game in Chicago. The only time the defense held an opponent in that situation on the road was when the Panthers got the ball with 59 seconds to go on their own 31 yard line, needing a touchdown to win, but only managed one play before a strip-sack ended it. Thomas had one of the best games of his career. He is finally taking the step from being great to being elite. He saved at least two touchdowns with great open-field tackles. Nobody hit Kellen Clemens harder. While so many will wring their hands about how the Seahawks have to get by without Russell Okung and Breno Giacomini, it would be wise to be thankful for the guys like Thomas that are healthy and winning games for this team. That said, let us wring our hands for a bit. Pete Carroll has now been out-coached three straight times by Jeff Fisher. His public line of, “we’re trying everything we can” to both protect the quarterback and get the ball to Marshawn Lynch is disingenuous at best. Two tight ends protect the quarterback. Split backs in shotgun protect the quarterback. But most importantly, handing the ball to the running back protects the quarterback. Pass attempts are up the last four games and rush attempts are down. Seattle coaches can claim the defense is taking away the run by stacking the box, but this team prided itself on running against eight-men fronts the last two years. When Wilson was truly being protected the first five games of last year, the team was facing overwhelmingly run-oriented fronts, and the team still ran the ball 34.4 times per game versus 25 passes. It was not always pretty, but the commitment and attitude were there. It became common to see the team running into a wall in the first half, only to eventually break through in the second, while also opening up the pass. There is no excuse for a game plan that does not hand the ball to Lynch on consecutive plays the whole night. To say that forcing the run would have ended in a better result is a stretch. In fact, the team may not have won if they were pig-headed about the run, considering it was the one big play pass that worked that was the eventual difference. Still, that is not the identity of this team. It is not the formula that will work reliably with this offensive line. FACT: This was only the second game in Seahawks history where they won on the road despite surrendering 7 sacks. The first was in Kansas City when Dave Krieg hit Paul Skansi to win it after Derrick Thomas set the single-game sack record. Alvin Bailey is either in the doghouse for some reason, or Tom Cable and Carroll are making an uncharacteristic decision in continuing to run Paul McQuistan out there. The reason I have continued to hear is that the line is already very inexperienced with Michael Bowie, J.R. Sweezy and James Carpenter, and they do not want to add more youth to the mix. Communication and poise are key components to line play. That makes sense to a point. When the veteran is the worst left tackle in all of football and is endangering your quarterback on nearly every snap, it becomes much harder to believe the results would be worse with a another young player added to the mix. To not even put Bailey in for a series to see how it goes is hard to defend. Carroll prides himself on being unconventional, but his commitment to convention in this case by playing the experienced player is putting his quarterback and season at risk. The mature thing to do is chastise Golden Tate for his taunting on the way into the end zone. Maturity and fun seem to mix poorly. As great as Larry Fitzgerald is, and as much as I respect him, if I had to choose between a league full of Fitzgeralds and a league full of Deion Sanders’, I’d take Primetime every time. I am mature with my kids (sometimes). I am mature at work (sometimes). This is a kids game, and I enjoy watching the guys celebrate however they see fit. I loved every bit of Tate’s antics, and loved his pose heading into the end zone of the punt return last week. As long as a player backs up their big talk or on-field antics with big results, I will always defend their right to be brash and bold. And so the first half of 2013 comes to a close. The 7-1 record the team has compiled would be impressive in any year, reached in any way. To do it with the depth and breadth of injuries the team has faced and with five of eight games on the road, makes it all the more impressive. This was easily the worst offensive performance of the season, which is remarkable after the Houston game, but give the Rams some credit. This was the defense I expected them to put on display every week. They were out for blood, and inflicted their share of wounds. Seattle was skilled just enough to avoid the fatal blow. Seahawks teams of yore would never have found a way to hold the Rams team out of the end zone to close the game. A helmet crossing the goal line would have been mistaken for the football, or yet another penalty flag would have flown to give the Rams one more chance. This team did hold. Let the losing team lament a bitter loss. This town knows better than to hollow out any victory. Great article. Thank you ! As a fan of 30 + years I wholeheartedly agree, and yes I love Golden Tate for his fun factor and his wow factor. I, too, loved the article! Great points! Great read! I think a lot of us forget that we can't hear what's being said on the field. Who are we to assume his actions weren't propelled by something offensive or hurtful? I love the game and wish the zebras would've let the guys play it. The coaching choices were as mystifying as the aforementioned odd grandmama ( I think everybody has one). All over sports radio today there was never a concise reasoning for the offense last night. Can't blame Marshawn at all. Or anyone behind him in the depth chart. What WAS Bevell thinking?! Imitate Schbottenheimer?! God help us all. I like the take. Not a bad idea to see what Bailey can do. McQuistan has shown he can't. As far as the Beast is concerned, is best runs were brought back on holding calls….we needed to feed the Beast and neglected to do so. I look forward to more 24 carry performances for the rest of the season. Go Hawks!